State Sen. Tom Casperson has become a lightning rod for criticism from environmentalists and some conservation groups. The Escanaba Republican wrote the initial land cap legislation. He advocates for increased logging in state forests. And he has championed legislation that would make it easier for people to build in coastal sand dunes. Casperson’s supporters have said he is pushing for common-sense regulatory reforms. Critics accuse him of waging war on regulations designed to protect Michigan’s natural resources. Bridge asked Sen. Casperson about his controversial land cap legislation, which Gov. Rick Snyder recently signed into law. Bridge: Does the state of Michigan own too much land? In your view, what is the optimum amount of state-owned land? A: This is a question that some lawmakers over the last few decades have asked, but, despite the issue being raised before, nothing has really changed within the (Department of Natural Resources) to address it. The primary problem with state land ownership is that there is no plan for the purchase or sale of land and no plan for premier management of the land that is owned. Because the land that is owned is being under-managed, especially for recreational and land-based economic opportunities, I would say that, yes, the state owns too much land -- as it is more than the department is able to care for and meet its obligations on. If the DNR can reinvent the way it manages Michigan’s valuable public lands and fully meet its obligations for owning that land, the current amount of land owned may be just fine. The right amount of state-owned land depends on that balance. Bridge: Should the state of Michigan reduce its land holdings in certain areas or certain counties? If so, where? A: The amount of state-owned land varies significantly across the state, with some counties having 1 percent of state-owned land in their boundaries and others having upwards of 50 percent state-owned land (see map at right). Roscommon County is 60 percent state-owned and Luce County is 51 percent state-owned. Some townships are even 80 percent state-owned. In areas where a great deal of state-owned land exists, the ownership strategy should be reviewed to see if all of that land is being effectively managed by the state for its citizens -- which is at the heart of Senate Bill 248. Bridge: Do you see any need for the DNR to acquire more land in any areas of the state, particularly in Southern Michigan? A: Yes, that does make some sense as long as the purchases are intended and managed for people’s use and enjoyment and land-based economic activity rather than for preservation purposes alone. The DNR could have already been making it a priority to pursue more land in areas with less state land, such as Southern Michigan, but has not done so. Bridge: Some critics of the land cap have argued that requiring the DNR to sell land in order to acquire new parcels would cripple the agency’s ability to promptly acquire valuable land that could be turned into state parks or recreation areas? A: Those critics obviously have not read SB 248 as enacted. The policy provides a soft cap on additional land purchases only until the DNR finally develops a land management plan that all stakeholders agreed is needed. In fact, the bill contains a number of exemptions where certain purchases can be made outside of the cap altogether, if the land in question is related to recreation or public access. Without a plan, the DNR is always claiming they have valuable land they need to buy. However, at the very same time, they claim they can’t afford to keep rustic campgrounds open, dredge waterways or perform other management. We can no longer afford to allow the department to claim there’s a "special reason" to acquire more land without ensuring the land is as open for access by the public as it should be. Bridge: Do you believe DNR ownership of land is hurting the economy in certain areas of the state? If you believe it is, please provide examples of where and how is this happening. A: It is not only what I believe, it is exactly what local units of government and residents throughout the state are saying. When a local unit of government has 40 percent, 50 percent or even 80 percent of the land within their boundaries owned by government, there is no question that the ability to expand the local economy is limited. The communities are at the mercy of the government on how that land can be used, and, make no mistake about it, the DNR in recent years is increasingly limiting its use. We have heard examples about individuals or businesses contacting the department about buying land in those communities to expand or develop a business opportunity. Instead of working cooperatively to proceed with a sale, the department has tried to overly enrich itself through a land swap weighted in its favor rather than focusing on the economic opportunities to the area. Additionally, the DNR has shut off access to many two-track roads across state land, which also limits recreation-based economic activity. Bridge: Do you have concerns about the DNR’s effort to manage public lands as "eco-regions?" If so, what are your concerns? A: During the Natural Resources Trust Fund (NRTF) appropriation process this year, the DNR and NRTF board submitted recommendations totaling more than $4 million for the department to make non-specific purchases of land in four "eco-regions." This practice is at odds with the state law. Additionally, it does not provide transparency and accountability and it competes with specifically chosen acquisition and development projects. Multiple requests were made to the DNR for specific individual projects to be identified in those eco-regions so the Legislature could fulfill its statutory mandate to review specific land acquisitions. But, unfortunately, the department refused to provide that information. For that reason, the Legislature chose not to approve the recommendations as presented by the board. If the department wants to manage land in some sort of regional process, that may be fine, but it must specifically identify the land when it comes to purchases through the trust fund. Otherwise, the Legislature is unable to offer oversight as it is charged to do by law on behalf of the people of the state. 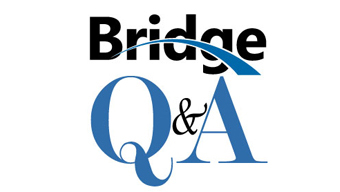 Bridge: Should the DNR sell land for below the appraised value? Why or why not? A: Senate Bill 248 made some important changes to allow the department greater flexibility in setting sale prices so land can be sold at reasonable rates. Sale values can vary greatly by the circumstance. Sometimes the best offer at public auction or market value could be reasonable. A primary objective should be to return land to private ownership and back to the tax rolls in cases where the department is either not able to manage it effectively or if the land is not open for robust use by the public. Bridge: Is it appropriate to use grants from the Michigan Natural Resources Trust Fund to build roads and other infrastructure that support extractive industries, such as logging, mining or oil and gas exploration? Why or why not? A: The Michigan NRTF and now the State Parks Endowment Fund receive revenue from the extraction of non-renewable resources on state-owned land. The revenues have largely been used for land acquisition and some recreational development projects for the state and local units of government. Given the vast amount of land already owned by the state that is not being used very dynamically, it is time to re-examine use of the revenues, as they could be better spent to improve management of land already owned. For example, some of the dollars should be used to maintain harbors, keep campgrounds open, improve fish stocking, create and maintain more trails, and build infrastructure to support more access for the public’s good. This is a fiscally prudent and sensible reform. Bridge: Some members of the conservation community believe you "hate the DNR" and that you have an ax to grind with the agency. Your response? A: To the contrary, I would say that the DNR is one of the most important agencies in state government, which is why I want to see it excel. Additionally, in most cases, those who serve the department in the field do an exceptional job. However, the bureaucracy has lost its way and strayed far from the department’s chief objective of conservation. This was greatly valued in the past, but now a protectionist mind-set pervades that has led to limited and unacceptable use of state-owned land in many circumstances. I am very hopeful that the new director will provide leadership the agency needs to reinvent the department. Bridge: You have said repeatedly that the DNR is shorting counties large amounts of money in Payment In Lieu of Taxes (PILT) payments. In your view, what is the best solution to this problem? A: Local units of government have received late and reduced PILT and swamp tax payments from the state since 2004. These payments, even if paid in full and on time, are much lower than the local units of government would receive if private entities owned the land. In local units in which the state owns significant interests, this translates to a significant adverse impact on their budgets, and, therefore, the services they can provide. Imagine how critical services such as police and fire would be impacted if a township or county in Southern Michigan suddenly lost 50 percent of their tax base! The DNR has played a role in exacerbating this problem by continuing to purchase land knowing full well that the state has not been meeting its PILT obligation. Practical solutions to this problem are encompassed in Senate Bills 1021 and 1022, which I sponsored, along with Sen. Darwin Booher. These bills would prohibit partial payments from being made, require payments to be promptly made, and increase the payment amounts to a rate that is much more fair and reasonable. Presently, we are working with the administration to obtain a commitment for full appropriation to be made for PILT payments in the future based on the conditions set forth in Senate bills 1021 and 1022. Apparently this guy believes the planet exists solely for consumption (recreation) and exploitation (development) by humans. It's a 19th-century sensibility and arrogant in the extreme. He is not, apparently, a contemplative, introspective individual, but one who would gaze at a broad expanse of spectacular Michigan lakeshore and see only motels and hear only the buzz of jet-skis and powerboats. Or wander through a deep, quiet Michigan forest and not see the trees but instead imagine the beauty of stumps left behind by commercial timbering. Michigan needs many fewer Caspersons if our grandchildren are going to inherit a state worth living in. The public lands of MI are not owned by the DNR, they are owned by each and everyone of us, and they are managed for our benefit by the DNR using best scientific and social practices. Any loss of PILT monies is not the fault of the DNR, but, the fault of the State Legislature which fails to appropriate such monies to be paid out by the DNR. It is the fault of politicians like Casperson who vote to give $1.8 Billion back to corporations and then penalize retirees by taxing pensions, take away working poor tax credits, and screw the general public when PILT funds are not paid to counties. The biggest problem we have in MI is the Repuglican controlled legislature and our governor. I would be interested to know how many and how much real estate development and natural gas and oil companies have donated to this fellow's war chest. I really appreciate Jeff Alexander's well-informed questions. I do not appreciate what Casperson is doing to Michigan. There are other routes he can take to accomplish his so-called goal of making the DNR pay its fair share of taxes on lands, and a law was already passed to do just that on new, Trust Fund-acquired lands. But I truly believe his tactics will ultimately lead to more timber and oil/gas development on public land with us footing the bill for infrastructure. Now, for him to target nonprofit land conservancies for a drop-in-the-bucket in tax revenue is just sad and cold hearted. Two points on Sen. Casperson's comments: For a number of years, DNR has been attempting to acquire tracts of land in Southern Michigan to add to existing recreational areas. It moves slowly, however. Until 2008 - 2009, land costs were extraordinarily high in this region, and policy makers justly gasped when they saw the bill for acquisition. Now, prices have come down, but landowners are unwilling to accept the new appraised values. One of the best tools DNR has for this work are the eco-regional grants, which allows it to move quickly when a property becomes available. The best way to encourage landowners to accept appraised value is this: DNR has the money. If landowners have to wait 2 - 3 years to go through an appropriations process, that advantage is taken away as well, and many believe that in that length of time, an above market offer may come along.